One of the activities that TJ does on an almost daily basis is ride his bike. 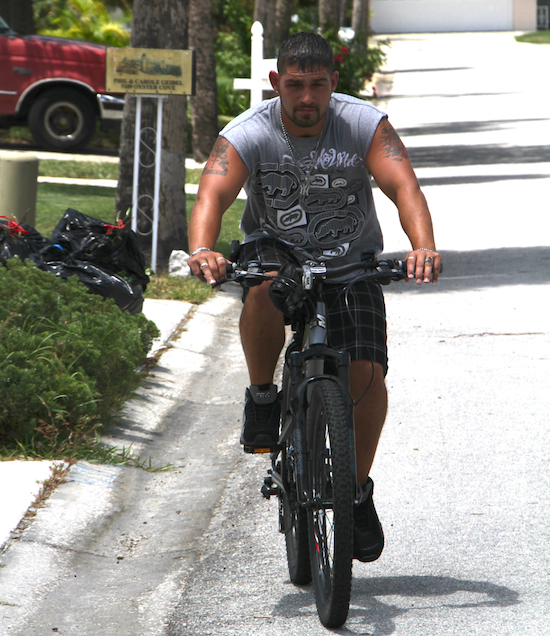 Biking after brain injury along with going to the gym is an his exercise and his way of staying in shape. Tell me more about your normal day? It consists of bike riding, working out at the gym, going to bingo every Wednesday and more bike riding. You ride that primarily on the roads around here? To get my hair cut, which is like a quarter of a mile. And I go to gym, but that’s across the street. And the bank, Walgreen’s, it’s all right here. So just a mile or two? Is biking after brain injury mainly for exercise? For exercise, they said I may never walk again so I ride for that. Did it take you a while to learn the balance with your biking after brain injury? No, not really. I took to it right away. A little bit of treatment, but more or less I was good to go. Did have any balance problems in terms of walking or was it primarily more physical? But you were able to get that under control over a few months? Walking, I guess a month, I guess. How long was it before you started biking? I came down here in November, probably about a year. Were you surprised that you could bike when you got on the bike? Well, I just went and did it. Michelle (said when) I got on the bike – she was T, come on, you’re going to get hurt. And I just kept riding. I was. Not no more. Not, not too fast. It depends on how fast, how far I’ve gone, so. Do you know how far you’ve ridden on your bike? In two months I’ve done about 550 miles. That’s quite a bit. That’s more than just riding to the gym, to get your hair cut and back. That’s 10 miles a day. What else do you do with yourself? I bowl. I was in a pool tournament but that fell apart. And I bowl every Saturday. sleep, bike ride and work out. Those things. Here is my friend who will be visiting me in Las Vegas, NV and whom I will have on The Rose Moore Show LIVE from Las Vegas. He is the greatest Advocate for TBI that I know. Keep up the great work DJ. WE love you .